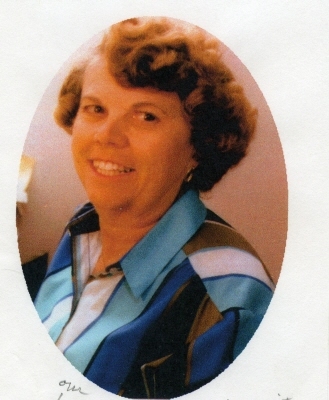 Lois Marie Roscher McKeon, 86, of Whispering Pines, NC passed away on Wednesday, April 3, 2019 at First Health Hospice House in Pinehurst. She was born March 29, 1933 in Teaneck, New Jersey, to the late Walter J. Roscher and Dorothy Marie Ware Roscher. She married Thomas McKeon in 1953 and they enjoyed 62 years of marriage before his passing in 2015. Lois worked as a secretary for her husband’s business, worked as a volunteer and was a fabulous homemaker. Lois was an enthusiastic athlete enjoying many sports in her youth. However, she and Thomas had a shared love of golf, and as a family scored 5 holes-in-one. They were members of Whispering Pines Country Club. She volunteered with First Health Hospice, Heifer International and Friends of the Library. She was a member of Sacred Heart Roman Catholic Church. Lois’s life was guided by an unwavering faith in God, and love of her family. She will be dearly missed by her family and friends. She is survived by her daughter Joan Kemmlein and son Mark McKeon (Bertha); grandchildren James Gold, Charles Kemmlein, Jamie McKeon and Jason Tomer. In addition to her parents and husband, she was pre-deceased by her brother Stewart Roscher and her son-in-law Steven Kemmlein. In lieu of flowers, the family requests that memorial contributions be made to Heifer International, 1 World Avenue, Little Rock, AR, 72202. A burial service will be held on Saturday, April 6, 2019 at 11:00AM at Bethesda Cemetery in Aberdeen, NC with Deacon Guy Berry officiating. The family will hold a celebration of life event at a later date. To send flowers or a remembrance gift to the family of Lois Marie McKeon, please visit our Tribute Store. "Email Address" would like to share the life celebration of Lois Marie McKeon. Click on the "link" to go to share a favorite memory or leave a condolence message for the family.